Welshot is TEN and we are CELEBRATING! 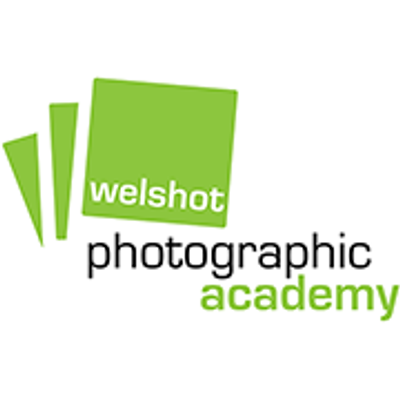 Ten years ago the Welshot Photographic Academy was launched in Menai Bridge, Anglesey and since then we’ve gone on to launch Academy Evenings and Events in Chester, Manchester, Ellesmere Port and Liverpool. We’ve been everywhere from Hong Kong to Halifax, from Iceland to London, from Budapest to Cambridge – we’ve covered every photographic genre under the sun, from Mains Studio Flash to all night shoots on Anglesey and Paris, from Macro and Close-Up to capturing water drops – not to mention the Landscape, Seascape and Nightscape sessions we’ve had as well. All these events have one thing in common – fun has been had, friendships have been made, photos have been created and techniques have been learnt – and all included CHIPS too! The Focus on Welshot – Celebrating 10 Years of Inspiring Photographers – Open Day is the day we would like to celebrate with YOU – the Photographer, so, charge your batteries, pop a memory card (or three) in your kit bag, grab your camera and come join us for some photographic fun at the Chester Crowne Plaza – where we’ve taken over and converted it into one big giant photographic studio for a day of photography to help you, learn a thing or three and take some great photos in the process. Joining us will be Olympus UK and Gavin Hoey who will be running a wide range of photographic sessions/modules – whether you are an Olympus user or not – you won’t want to miss what they have planned for the photographer including Gain Hoey on the stage demonstrating various techniques. The whole Welshot Team, Olympus UK, Gavin Hoey and London Camera Exchange (Chester) will be there and on hand to help you with anything photographic – from Studio Mains Flash, Off Camera Flash, Creative(think Macro or Close-Up Photography to Water Drops) to helping you with what camera is right for you. You are sure to capture an image or two as well. You can come and go as you please throughout the day. There will be no restrictions and there will be a variety of photographic sessions for you to get involved with or just look and watch. Make sure you check the “Schedule of the Day” which will ensure you don’t miss out on any specific Photographic (Hands-On) Demonstrations, Presentations, Lectures and How To sessions you might wish to attend. This event is also great if you have ever wondered what Welshot is all about and what it could do for you, your camera and your photography? Why not come along to our Focus on Welshot – Celebrating 10 Years – Inspiring Photographers FREE Day of Photography at the Chester Crowne Plaza and find out all the great things we can do to bring your love of photography to life. Is this event for Me? If you love photography and would like to get more from your camera, learn a thing or three, make some new friends (or catch up old ones) and have some fun creating some photographs, trying a huge variety of photographic genres then this day is going to be the perfect day for you. I am a beginner to photography, can I still come? We’ve designed Welshot just for people like you – it doesn’t matter if you’ve never picked up a camera before – the way we run ALL our sessions with help, guidance and support always on hand will ensure you go home knowing your camera just a little bit better than when you arrived and more than one image for you to be proud of. We do hope that you will be able to make it, we’d love to see you.